This affectionate paean to young love is also a frank examination by Akira Kurosawa of the harsh realities of postwar Japan. During a Sunday trip into war-ravaged Tokyo, Yuzo (Isao Numazaki) and Masako (Chieko Nakakita) look for work and lodging, as well as affordable entertainments to pass the time. 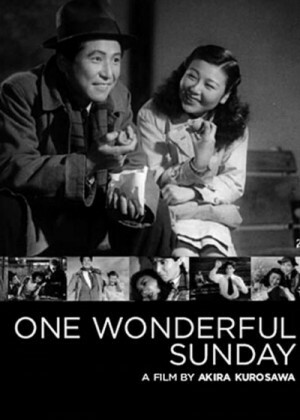 Reminiscent of Frank Capra's social-realist comedies and echoing contemporaneous Italian neorealism, "One Wonderful Sunday" touchingly offers a sliver of hope in dark times.